(#255) What are the best exercises for strong, powerful, healthy shoulders? In this session, I’ll discuss 7 proven exercises to keep your shoulders supple and strong. 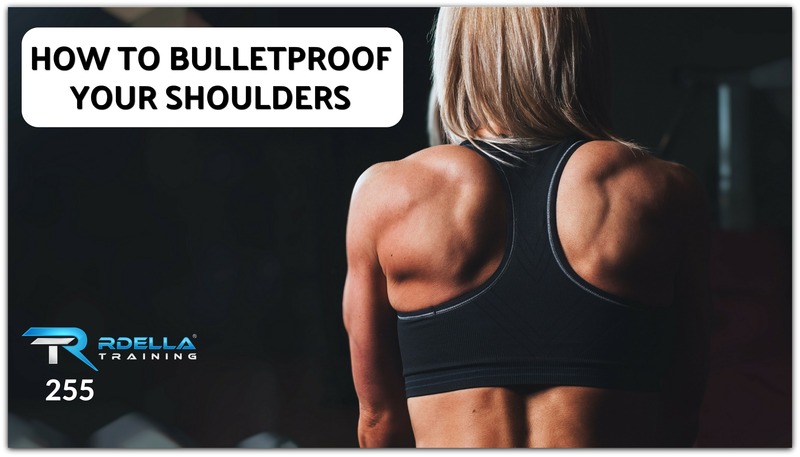 While there are many considerations when strengthening the shoulders, I’ll share what I have found to be most valuable in recent years to maintain strong and injury-free shoulders. If you’re looking to optimize health of the shoulders, listen and learn about the rationale for this progressive approach. Excellent article, as always Scott. How do you rate crawling as an exercise for bulletproofing your shoulders? Great question Ian. I’d definitely include crawling in the “bulletproofing” exercises, as well. You get many of the same benefits with crawling for total shoulder strength and mobility. Thanks for the reply Scott 🙂 That’s great, as I do crawling as part of my warm up for every workout, along with the halo.